Sukawati art market has a temple used by local merchants to offer worship and praise to God for the smooth running of their businesses. 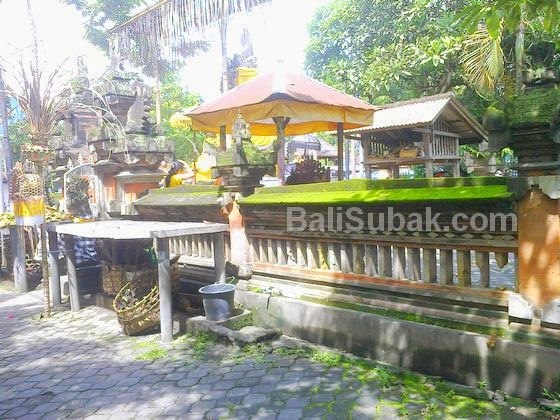 This temple is located on a side street, in front of a shopping complex in Sukawati Art Market. Every morning, traders worship at this temple. Just as Hindus in Bali more done every morning, especially those committed by the merchants each morning.